The African Human Rights Camp is a two-week long intensive training course in human rights, designed for people working in the field of human rights education and advocacy in Africa. Over the past ten years the training course was conducted in South Africa, Zimbabwe, Ghana, Morocco, Tanzania, Uganda, Egypt, and Nigeria. The 11th African Human Rights Camp was held in Namibia from 24 September to 6 October 2006. 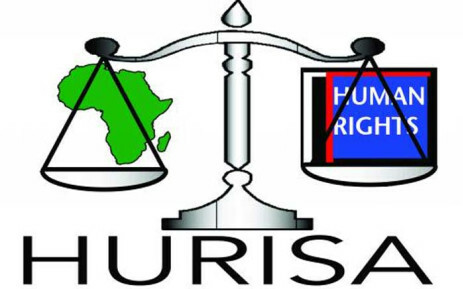 It was organised by the Human Rights Institute of South Africa (HURISA) in collaboration with Legal Assistance Centre in Namibia. to strengthen networking among human rights NGOs in Africa. Impact of religious and cultural practices on human rights. Sessions will be led by resource persons with experience and expertise, gathered through their work in non-governmental and inter-governmental organisations, and in academe. The course will employ a combination of lectures, workshops, group discussions, role plays, reading sessions and film shows. Only one (1) application per organisation will be considered. The list of participants will be announced on Friday 28 July 2006. Only successful applicants will be notified. If you have not been contacted by that date, please assume that your application was unsuccessful. Successful applicants will enter into a formal contract with the organisers. The course will be held over a period of two weeks. Participants must be prepared to undertake a programme of intensive study and exchange. Sessions will normally be held from 8:30 am to 5:00 pm, Mondays to Fridays. The medium of instruction and discussion will be English. Participants will be given a set of basic human rights reading materials upon registration and summaries of lectures. Most of the course materials will be in English. Participants will be required to prepare a paper to be delivered at the Camp. The course fee of 250 US dollars is compulsory and covers tuition, materials and lectures. The course fee is non-refundable. Participants are encouraged to raise funds to cover their own transportation, accommodation and meals expenses. Accommodation and Meals for two weeks cost 1,700 US dollars. Limited funds are available to cover either the costs of international flights or the costs of accommodation and meals during the course. Requests for any financial assistance must be made in writing, on behalf of the applicant, by the head of an organisation to the AHRC 2006 Course Secretariat (c/o HURISA). Subsidies will be granted on merit and at the discretion of the organisers. Participants are responsible for their own medical, luggage and accident insurance as the organisers will not be responsible for any such costs incurred by participants. It is compulsory for participants to attend all the course activities. Any participant failing to complete the course without any valid reason, will repay the full cost of participation. Participants who have attended all the course activities will be awarded a certificate of attendance. Exceptions will only be made where a valid reason for missing a session is submitted by the participant and accepted by the Course Secretariat. The Course Secretariat is the only body of appeal at the Camp, and its decisions are final. The Secretariat will be guided by internationally accepted grievance procedures in cases of grievances or disputes.